The Experimental Mom: Trying New Foods! Trying new foods isn't always easy... However, I'm finding it very exciting! 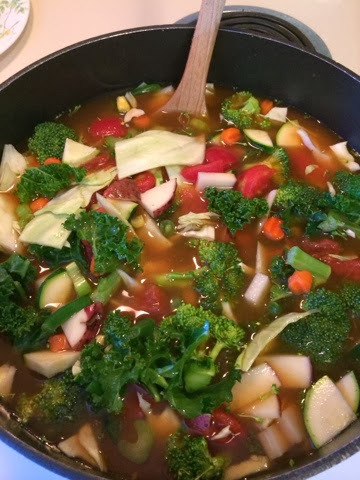 I decided to make a big pot of vegetable soup. I am going to keep some in the fridge and then freeze the rest so I can have it on hand. The new veggies I have decided to add to my soup are cabbage, kale, and zucchini. Along with green beans, carrots, broccoli, diced tomatoes, celery, and a few diced potatoes. My old SAD (standard American diet) vegetable soup was more of a vegetable beef soup with heavy noodles... So, this will be a change! I can't wait to show you my creation! 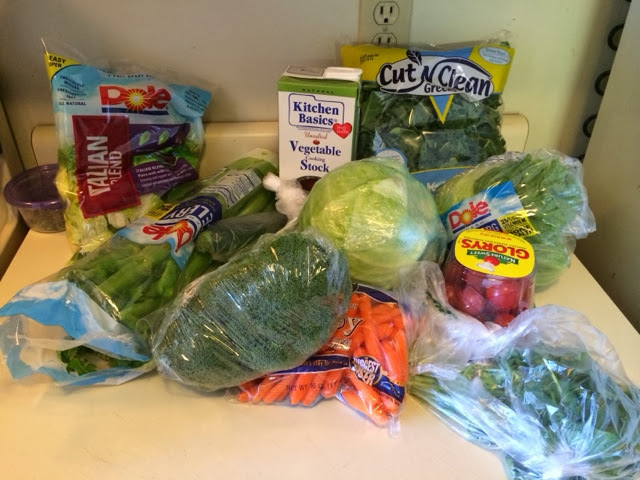 Soup and salad stuff! Iceberg, cabbage, kale, celery, broccoli, carrots, cherry tomatoes, no salt vegetable broth, cilantro, and zucchini. 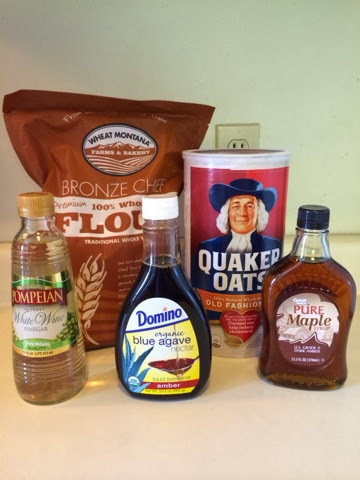 Wheat flour, white wine vinegar (for salad dressing), blue agave, pure Maple syrup, and old fashioned Quaker oats. These are all new foods to me... Before, when I ate oatmeal it was always in a little packet full of flavorings and sugar. 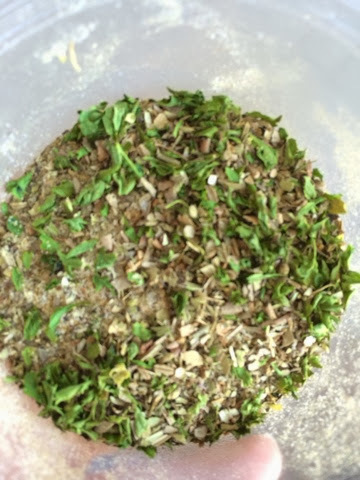 This is my home made Itailian salad dressing! All I have to do is add the white wine vinegar. It smells wonderful! Murphy's law is having fun with me! I was trying to fix my blog and instead deleted a comment! I believe the viewing issue should be fixed! Sorry for the confusion! Wishing you all the best on your journey to health.